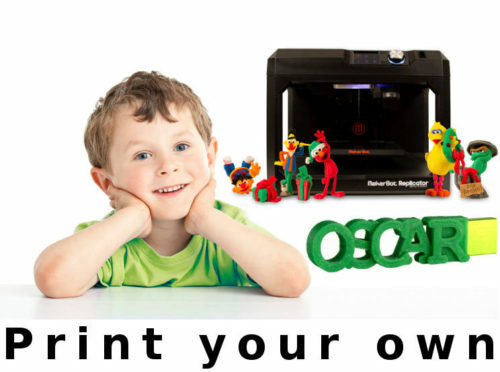 A few days ago we have launched a page for those who have a 3D printer. If you have one just download the stl file, repaire it, and you are just about to have your own home-made 3d printed flash drive. This post is about the recommended printing settings. Before printing we repair the file with Netfabb. After STL file repair printer settings are adjusted in Cura, which is a popular and free slicing software. How to get the printable STL file? At customflashdrive.gift you can download your customized model file in STL format. Go to the 3D print your own menu and enter your text. It can be even 10 character-long. Add key ring if you like it or a hole for usb memory stick, and then click on the download button. The printable STL file costs 5 EUR. An STL file is suitable for every 3D printer. In our case we use a Witbox 3D printer. How to repair the STL file with Netfabb? Repair can be done online here or offline after downloading the Netfabb software. How to prepare the repaired STL file for printing in Cura? Cura is a free 3D printing slicing software. I recommend the following USB memory sticks at Amazon.